The original 1980s and 90s feel of the bathroom did not match the new homeowners’ personal style. The layout was poorly arranged and felt cramped. A large bathtub occupied one third of the original layout. The homeowners were interested in creating a more functional layout, using higher-quality finishes, and crafting a unique look. 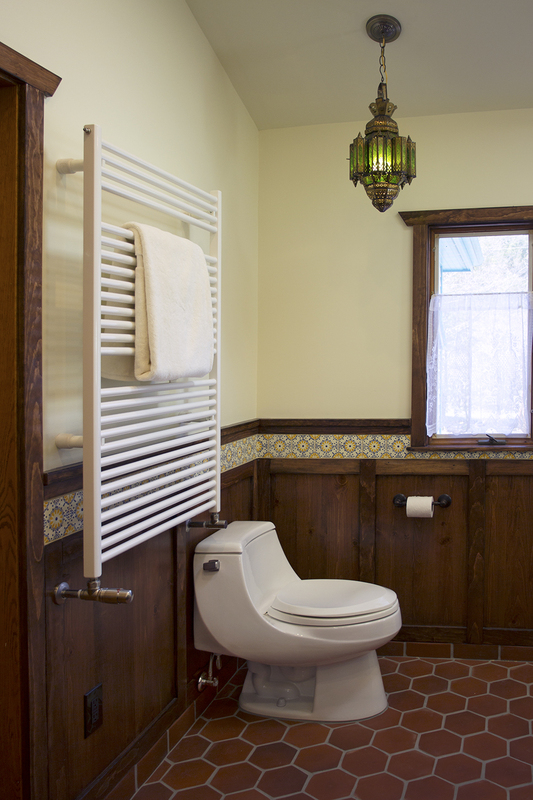 The rest of their new home has a craftsman style that they wished to extend to the bathroom. At the same time, they wanted to introduce exotic North African and Indian influences. They enlisted Cabinet Designers to help them create this careful blend and solve their space-planning problem. This home has a unique style for the our area, with stucco walls, earthy finishes, cathedral ceilings and modern lines. Once we're powered by our clients’ aesthetic direction, we find that integrating our projects into the feeling of the home is what helps make them timeless. 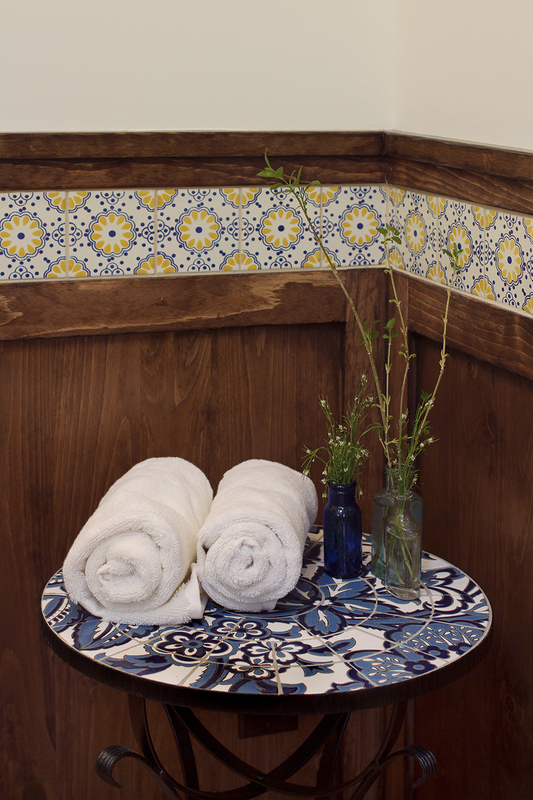 We used the architecture of the adjoining spaces to help navigate our selections, which is ultimately what brought in the wood paneling element to help create some balance between the eclectic hand-molded tiles & the clean, warm elements in the rest of the home. 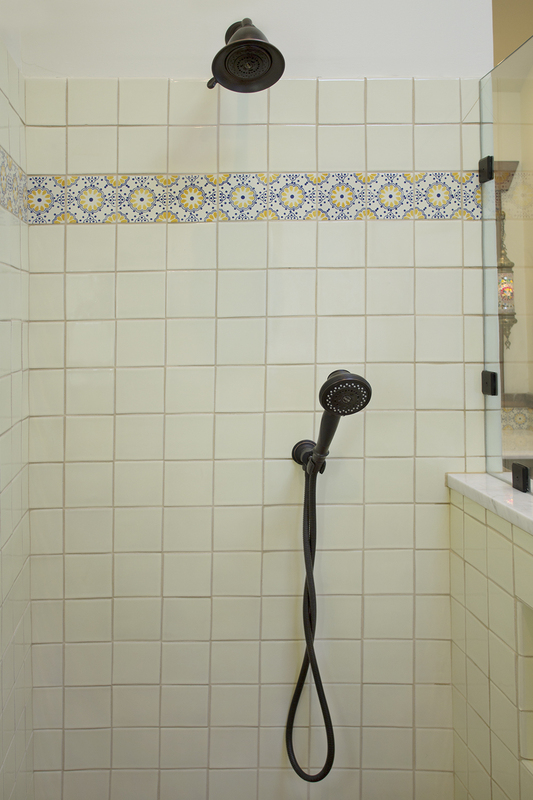 We were also able to integrate a few innovative elements like a hidden linear drain in the shower and a towel radiator to replace the dated baseboard heaters in the space. The homeowners enjoyed the collaborative process and Cabinet Designers’ flexibility. They noted that they greatly appreciated the fact that they were able to switch their decorative tile design after the original design had already been partially installed - at no additional cost to them. 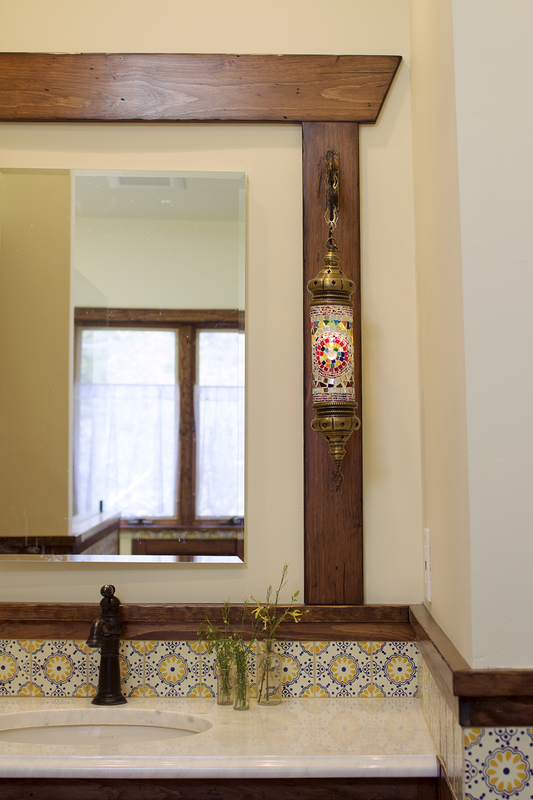 And, they were able to make a last minute addition in the form of a wooden frame around the mirrored medicine cabinet. This finished off the room beautifully.